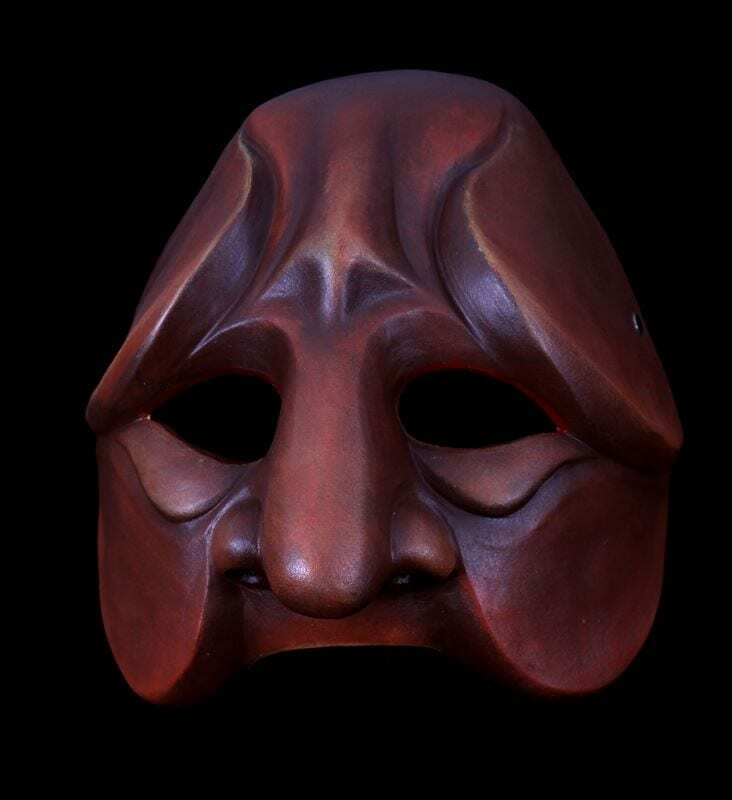 The Commedia mask Tartaglia 2 is another version of this character offered by the studio. 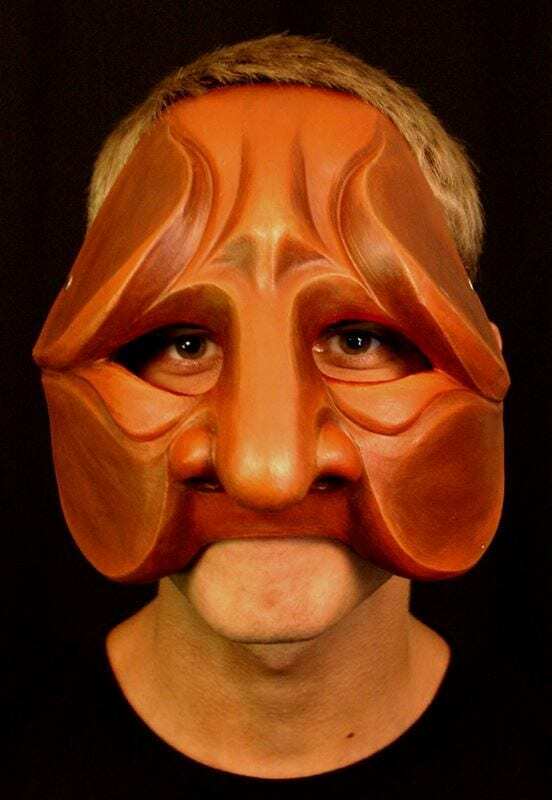 The design of this mask was arrived at through a series of redesigns by various mask makers. Originally a student mask this design was then remade by an instructor and then again by Jonathan Becker. Tartaglia is often depicted as a lower class character in the pecking order of status. So present in the commedia dell’Arte. The character does however, at times climb that ladder and exist in the middle and upper classes. He is sometimes a bailiff, a chemist, a notary and a lawyer. Tartaglia is farsighted, has a slight stutter and is often portrayed as one of the lovers. 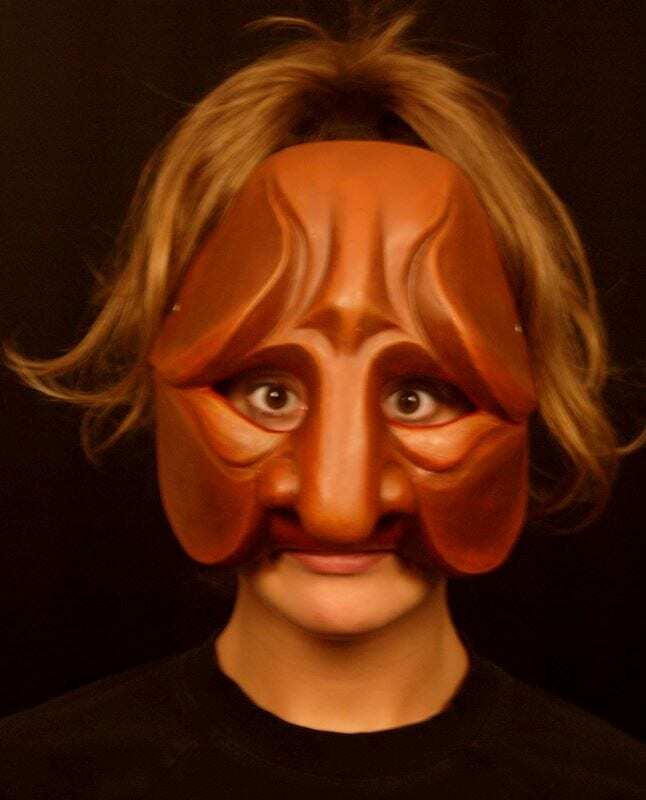 The Commedia mask Tartaglia The Stutterer is another version of this character offered by the studio. The design of this mask was arrived at through a series of redesigns by various mask makers. Originally a student mask this design was then remade by an instructor and then again by Jonathan Becker.